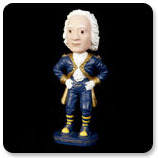 Alumni left the event with a keepsake which was both meaningful to them and would attract the attention of others to GW's brand name. Inspire a higher level of performance in your employees by offering prizes for meeting goals which benefit the entire business. Mac Mannes is a pioneer in creating programs by which clients are able to offer high quality gifts to recognize their invaluable staff. Show your appreciation for business associates with attractive gifts specially selected for just the effect you desire. What better way to create exposure for you brand name than to have it prominently emblazoned on a piece of clothing that is both functional and attractive? We have tremendous experience in this field and are eager to help you find the perfect items to achieve your promotional goals. By sending advertisements directly to a target audience, our clients are able to drastically increase interest in what they do and thus increase their business. Mac Mannes strives to create the most innovative direct mailings in order to make a lasting impression on your potential clientele. The right promotional hand-out can do wonders for increasing the exposure of, and creating interest in, your brand name. Mac Mannes has helped countless companies develop custom items which have sparked the curiosity of those who receive them, often of those who have never heard the client's name before. We offer warehousing and shipping service for promotional programs in order to make distribution easier for our clients. Make distribution even simpler and less expensive by letting Mac Mannes, a veteran of warehousing and fulfillment, create and maintain an online store by which customers or employees can find your selected merchandise easily and receive it on time. Not only can we help increase exposure of your logo but our graphics department can help to modify or create the ideal image for your project. Mac Mannes is sensitive to the budget of every one of our clients and that is why we utilize overseas sourcing to keep costs to a minimum without sacrificing quality or expediency. Not only will Mac Mannes help you find the perfect item for your project but we will make sure that it is presented in a sophisticated fashion. Custom labels, packaging and hang tags are just a few of the ways we can make your custom items stand out.